The award was given by the Rosen Group. Anneliese McMenamin, Vice President of Human Resources for Jefferson Health in New Jersey; Human Resource Generalist Alex Hogarth; Corporate Director of Learning & Development and Project SEARCH Coordinator Debbie Deissroth; Julie Ellis, Jefferson Health (NJ) VP of Human Resources; Talent Acquisition/Recruiter Julia Thompson; and Manager of HR Consultation Cecelia Roche. Jefferson Health in New Jersey was recognized at the Delaware Valley HR Department of the Year Awards for “Excellence in Diversity” by the Rosen Group, a Cherry Hill, NJ-based firm that provides direct hire and contract placement of Human Resource professionals. 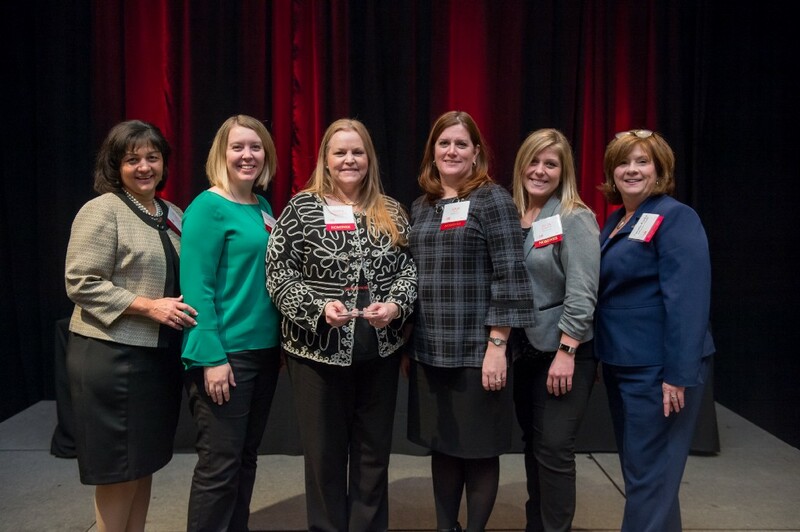 The award — one of seven presented in various categories under the heading of “Awards for Excellence” — recognized the Jefferson Health Human Resources Department in New Jersey for its accomplishments in the field of diversity. Jefferson Health was selected for its involvement with Project SEARCH, a work-transition program for young adults with developmental disabilities that launched at the health care organization in 2016, making what was then Kennedy Health the first South Jersey hospital to participate in the national program.